Costco is selling the HP Pavilion dv6623cl-b notebook for $799.99 the weekend after Thanksgiving. Costco members need to use the $100 coupon they received in the mail to get this Black Friday deal. 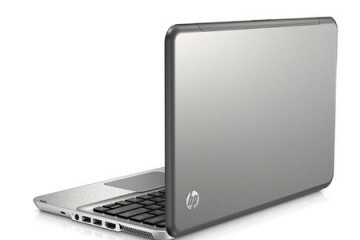 The HP Pavilion dv6623cl-b is not available online and is only available at Costco stores. One thing the dv6623cl-b laptop has that no other Black Friday special has is a two year warranty. Costco doubles the standard one-year warranty on all of the laptops it sells. This notebook is listed as Costco item number 228393. The HP Pavilion dv6623cl-b is a 15.4-inch widescreen entertainment notebook that includes 1GB of memory, 160GB hard drive, Webcam and DVD burner with dual layer support. Its Intel Core 2 Duo processor runs at 1.5MHz and has 2MB of L2 cache. 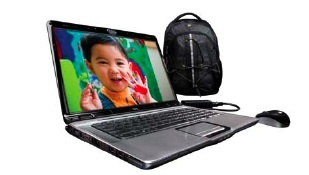 A Targus backpack, extra AC adapter and wireless mouse are included. Bundled accessories are always nice, but many users won’t get a lot of value out of the backpack and wireless mouse. 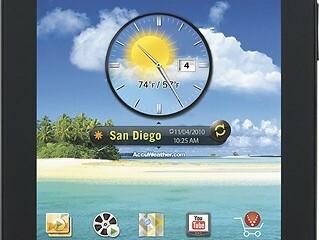 Costco should have upped the memory to 2GB, which is necessary to truly enjoy multimedia on Windows Vista Home Premium. An extra AC adapter is nice, but I’d much rather prefer an extra battery. The dv6623cl-b is more expensive than other 15.4-inch notebooks being sold this Black Friday, but it well equipped and doesn’t skimp on much, except for the 1GB of memory. There are plenty of ports and plugs, including three USB 2.o ports, two headphone jacks, VGA out, S-video, LAN, modem and FireWire. The notebook can be expanded via the ExpressCard slot or the Expanstion port 3, which connects to the HP xb300 Expansion base or the HP QuickDock. The dv6623cl-b is part of the HP Pavilion dv6600 series. If you don’t have a Costco membership or would like to customize one with your own specs, go to HP’s Notebooks Store. 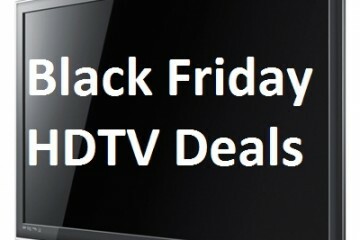 The information above refers to a Black Friday $100.00 Coupon toward purchase of the HP Pavillion DV6623CL-B Laptop Computer. However, I did not receive this coupon in the mail. How do I receive one of these coupons? Can one be Emailed to me? Can one be obtained at a Cotco store? Clyde- I don’t know if Costco is too strict on actually having the coupon or not. I’d ask for one when you get there. If that doesn’t work ask a fellow Costco Shopper if you can have theirs. The coupons come in a thick booklet and there will be a lot of people that won’t be using the one for the dv6623CL-B. THE $100 INSTANT COUPON IS IN ONE OF THE FLYERS IN THE STORE..JUST ASK FOR IT !! Jay, this notebook uses PC 5300 DDR2 notebook memory. 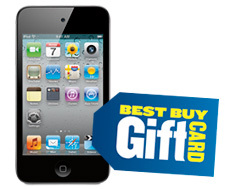 You can buy it from almost any computer retailer or memory specialist. Memorysuppliers.com, tigerdirect.com, newegg.com and crucial.com all have this memory available. It costs about $95 to upgrade to 2GB. I just bought one yesterday. It looks great, and Vista is pretty easy to manuever, but I haven’t had a chance to install any of my software, which is a lot of graphics programs–that will be the real test. I checked out Tigerdirect, Office Depot, Home Shopping network, and this is the only one with a two year warranty and had this much. I know that I will have to purchase additional memory (2-4 GB). Costco had a Toshiba for $899 online, but I like to see the actual computer before buying. Time will tell if this is the best deal for the price. For some reason, my laptop has no local area connection. I’ve tried so many times with a wireless router (because I have cable internet at home) but it still cannot connect it to the internet. What should I do? Crystal- what happens when you try to connect? Also, is your router working with another laptop? How have you set up your router- security wise? When I connect with a wireless router, I see my network on the laptop so I click connect. It seems to be connecting but for some reason I have no local area connection. I have a wireless network connection though. Is it because something is wrong with my router? Did anyone find a memory upgrade that will work for this? I am thinking of buying one. It is still $799. 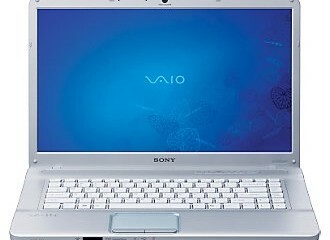 So what does everyone think of this laptop? I received it as a gift for Christmas and am very interested in “making videos” with the thousands of pics I have…..I assume this memory issue will be a problem for me. Thanks. HELP! I got this laptop for Christmas as well and need to use it for all my papers required in the RN program at my local city college. I have a Epson Printer CX-4200 and cannot get it to print from this laptop. I know nothing about USB cords. Any advice? The printer is good to go, but not receiving anything from the laptop, I’m supposing. @Lisa-Could you tell me if your notebook’s connected to your printer via USB, or if you need help determining which USB cable to buy? The printer is definitely compatible with this notebook.